When your personal space feels right, it can make your whole life easier – but what feels “right” is sometimes hard to define. Our guest today, Kerri Gray Miller, shares about the effect of “chi” in our spaces and finding the balance that feels “right.” She is passionate about sharing the benefits of feng shui with others so they can be empowered to create spaces that feel better and flow better. Why this is about so much more than just “tidy-ing up” and being a neat person. How “chi” flows through your space. The way to create balance and a peaceful feeling in your home. Easy feng shui tips you can use in your own home. Thanks for joining me today! 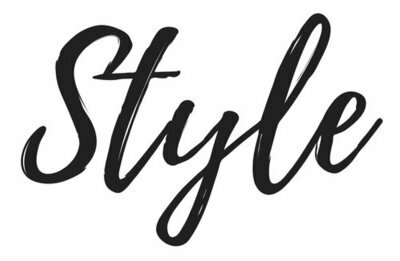 Welcome to the Style With Intention podcast. I’ve got a very special guest with my today – Kerri Gray Miller, from Feng Shui Pathways. She’s here to explain the power of feng shui and how you can use it in your own home. She sahres tips for creating abundance and balancing energy. Listen in today as Kerri and I talk about specific rooms and what can be done to improve the flow of chi (don’t worry, she explains what “chi” is early in the episode!). Our bonus content this week gives you the specific steps you can take to use feng shui in your own home, so be sure to download Kerri’s freebie “Feng Shui Tips” for the top 3 areas of your home by clicking HERE. As always, my goal is to make it quicker and easier for you to access more ease, joy, and intention in your life…because happy looks really, really good! If you’re new to podcasts, check out our “Listening To Podcasts Cheat Sheet” for everything you need to know about downloading and listening to podcasts from your iPhone. Annie Kip: 00:01 Hi guys, welcome to the show today. I have a very special treat today. We have a guest and her name is Carrie Miller. I found her on facebook and her group and page on facebook is called feng shui pathways. She teaches, I think almost daily facebook lives about feng shui and I’ve gotten some great tips from her and they wanted to bring her onto the show to talk with us about space and you know, that’s something that I really think about a lot is how spaces feel and function way is a great way to intentionally create space that actually feels really good and I want to hear from Carrie about the reasons that things feel good or don’t feel good in spaces and what we can do to actually make them feel better. So Carrie, welcome to the show. Kerri Miller: 00:53 Thank you Annie. I’m really excited to be here. I appreciate this. Annie Kip: 00:57 Oh, it’s so fun to have a chance to sit down and chat with you. Tell me, how did you get into this? Because a lot of people are sort of looking at what they want to do next and this is such an interesting field. Have you always done this or is this something that you’re just learning or. Kerri Miller: 01:16 I have been practicing feng shui for on my own for about 20 years as a professional, helping others. Um, for about 15 years, stumbled across it really by achident. I had just moved into my own. I had bought my own condo and was getting settled when I was in my late twenties. Uh, and I was just trying to, you know, it was kind of a combination of seeking some self help type resources and also looking for ways to get really comfortable in my space. Kerri Miller: 01:45 And I stumbled across the book about feng shui and I read it and it just completely clicked with me and really made sense. And so I applied some of the things that were suggested in the book and looking back, it’s just unbelievable how things shifted and changed for me in my life. Any of my life path, you know, truly, you know, I ended up pursuing this path. So, um, I just really resonated with the whole topic of, you know, the energy of your surroundings and how they impact you and I, it’s really become my passion to help people look at their space in a whole new way and understand that spaces that feel good and flow good can really exponentially benefit you, um, in all the parts of your life. Annie Kip: 02:30 That’s awesome. When I discovered feng shui, it totally grabbed me too. I think it’s fascinating that we can make small shifts in our, in our environment, and actually change the energy of it. Now I know that there is something called chi and maybe you can explain that to us in a simple way for us to understand, you know, when people start talking about energy, it sounds so woo woo and funny, but, you know, I know that there’s definitely some basis for this. So how would you describe the energy you’re talking about? Kerri Miller: 03:04 Yeah. So we, we call it, she used some people call it key, um, but it’s definitely energy. It’s really an unseen energy that exists in and around everything. So if you think about it, it’s the thing that animates life. It is, you know, it makes the trees grow, it makes us a living. I’m an animated beings, it makes the water flow and the wind blow so you can’t see it, but it’s there and it’s creating movement and flow all around you. Um, but it’s really powerful to pay attention to how it’s moving and flowing. And that’s really what we’re looking for in function with a, you know, when she is moving in a beneficial way, it kind of comes into your space, meanders around and it will circulate around you and be able to energize you. Um, but there are times and different setups in your home or in your space that can cause it to flow too fast. So it was kind of rushing in and rushing out and possibly depleting your own energy in the meantime, um, or it could be stagnating and not being able to move and flow. So you start to feel heavy and stuck in all the parts of your life. So it’s really there. Um, and it exists in everything. You just, most people aren’t paying attention to the fact that it is there. Annie Kip: 04:22 Yeah, I think, I mean I can at least relate to the feeling of feeling stuck or the feeling of heaviness or sort of the chaotic feeling and I always have associated it with the aesthetics of a space and you know, our personal associations with the different things that we can choose for our homes. But give me a, if you can a specific example of what a space would look like, where the money was flowing to fast. When you said that, I was thinking, okay, is that just a messy home or what does that lead? What does that look like in real life? Kerri Miller: 04:58 Yeah. Well, you know, a great way to visualize she is to think of it as flowing water functional actually is translated into wind and water. Water represents the flowing energy that we can see and the wind represents the energy that’s flowing that we can’t see. But if you were to visualize she as water and think of it, you know, think of your front door bursting open and a whole bunch of water coming in. And imagine what it’s going to knock over and what were it’s going to flow to first, which places it’s going to take longer to get to, and then as it starts to recede where it’s going to get kind of stuck and not really receipt, it’s going to kind of stagnate and maybe pull up in certain areas and be harder to get rid of. Usually that’s in corners. So, so think of it that way. Kerri Miller: 05:47 And if you think about like the long hallway, you know, almost think of it like a hose where the water has to go into the hose and it speeds up and it gets really condensed. Know the energy as it goes down a long hallway is flowing very fast and harshly and it’s, it has a harder time breaking off to go into the side rooms. That’s just a natural flow of the energy. So you know, we do things in function way that helps slow the energy down in the hallways and also encourage it to flow from side to side. So it will go in and energize those spaces off of the sides of the hallway. Annie Kip: 06:25 So how would you do that specifically? That’s a really good example. Kerri Miller: 06:29 Yeah. So there’s lots of different ways. So you know, you could do something as simple as putting a runner on the floor, you know, with, you know, the texture itself slows down the energy. You could add to that even further by making sure that the runner is patterned and it has like swirls that are changing the direction. So in effect you’re just distracting and slowing down the way that she’s flowing. You can do it with lighting, you can distract it with artwork on either side of the wall. So you’re basically what you’re trying to do is distract the, slow it down and make it stick around in a, in a way that is beneficial flow so that it’s energizing you. Annie Kip: 07:12 So just so people can envision what this means like. So I get the whole runner and that probably it sounds like having a runner with long vertical, long lines would not be the right thing that would just add to it. Right. So if you were putting artwork on the walls in a hallway, would you say put them like straight across from each other or would you say alternate or stagger them or big or smaller? Lots of little ones. Is there any guidance on that? Kerri Miller: 09:06 emotionally, you know, distracting or depleting. With things like grief or sadness or memories. You know, those things can really pull you up or, or, or weigh you down. Annie Kip: 09:17 Yeah, I totally get that because I think I’ve seen people get sort of stuck when they’ve inherited furniture or when there is a gift that they were given. They don’t really like, but they feel they should keep it or it’s a memory of a time that maybe they what do better letting go of rather than just keeping it because it’s a practical chair and they really like it. But if it was the chair of their ex husband always sat in, it might not. The adding to the environment in a positive way, is that what you’re talking about? Kerri Miller: 09:47 Absolutely. And it can really cause your own energy to stick and the energy around you to get very sticky. So, uh, waste to energy down ways. The way the space feels overall down quite a bit. So when you can start releasing those heavier items, that’s the first thing that lifts up the energy of the space and makes it feel better and flow better. Kerri Miller: 10:19 what if you think about it, if you think it’s really all the stuff that you choose to keep around you and why you keep is really related so much to what’s going on inside of you. Yeah. So if you are keeping something that you know you don’t love because you feel obligated to other people that sing a lot, it’s like a message right there. And it’s like saying, you know, maybe you need better boundaries, maybe you need, you know, so really interesting to notice what you can discover those hidden secrets in your home, what you keep and why you keep it, what you’re feeling really deep down inside. Kerri Miller: 11:46 no one person feels really strongly about keeping and the other person feels really strongly about not having it in their space, see if you can find a place where it can be put that isn’t impacting the other person as much. I had one client a long time ago who had gotten remarried to somebody who was in the military and in their bedroom he had a, a Black Hawk helicopter model and to her that represented, you know, war time and then things weren’t so positive and he brought to him, you know, that was part of his career and it really made him feel good. So they ended up deciding that the bedroom wasn’t the best place for it and relocating. It’s his office. So you know, it’s just, there’s a lot of compromise that can be had if you, if you work together on it. That’s interesting. Kerri Miller: 12:38 Now when you were talking about the water and and flowing, I wanted to get more examples of that. You mentioned corners. Yeah. What do you mean water gets stuck in? What do you mean that she gets stuck in a corner? What? What would, uh, start corner look like? Yeah. So I mean the energy just can’t flow, so things will tend to get energy actually can gather and collect and kind of stagnate just the same way water would. So if you think about, you know, think about a river or a ponds where the water’s not flowing very well and it kind of gets stuck. Think about how icky that gets. You get green and Mckee the nfe does the same thing. So when the energy is not flowing or when it gets kind of stuck in those corners, it starts to get achy and heavy. So you know, you can love your home and have really done a great job designing it and deliberately I’m setting it up. Kerri Miller: 13:35 But if the energy that unseen energy is stuck in the corners and not moving, it can still start to feel really heavy and not that comfortable. So you know, there are things that we do in feng shui which are called energy clearings, which really helped get the energy, get the old energy out and bring fresh new energy. So that’s really a big, important part of that process. Also, you know, the way that you place items, you know, you can certainly put things in corners because that soften the corners, that just allow the energy to flow better and not get stuck. How do you know if something is, if you put something in a corner that’s, that’s making your energy stack or making it flow, how do you know like a plant is a plant something that is good in a corner or is that sort of sucking energy? I, I actually like, I think plants are a great solution in the corner because they add life to the corner so they’re, they’re, you know, adding some vital life. She into that space. So softening the corner. So there’s nothing, there’s no real way for it to get stuck in their lights are another great option where you can put furniture there. Kerri Miller: 14:50 Um, but it’s always just a good idea to just kind of goes through and know, create some motion, literally shake things up in the space, some music, use some essential oils, other types of things that lift and circulate the vibration of the space. Annie Kip: 15:06 Okay. Now as you’re saying that, I’m realizing that I have a corner in my office that I, it’s like the place where I put all the oversized, you know, big pads of paper and the things that I don’t know where else to put them. And I mean, what, what do you do with stuff like that? Where do you. Kerri Miller: 15:23 One of the things that you’ll find is that where energy is getting stuck, that tends to be where cluttered is collecting in your space. So it’s almost like a magnet, you know, the dust will collect their, the clutter will collect there. That’s kind of a symptom of the fact that the energy might not be moving so well. Okay. You know, there can be times where it’s hard to find a location that’s appropriate for, you know, oversized items, but really just making sure that you find a way to house it in a way that’s neat and appealing and allows the energy to flow around it rather than just letting it stack up, you know, impede the flow of the whole room. Annie Kip: 16:05 Okay. I totally have to go fix that because I feel like it’s always falling over. It’s like the papers are crumbling and I just keep sticking stuff there. So that’s a really. I’ll have to let you know if something changes in my life. Fix it. 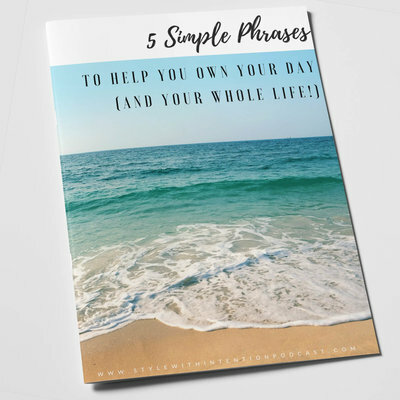 Now I know you have a Freebie for our audience and so I wanted to mention that if you’re going to tell us about how to get it at the end, but I wanted to ask you, it’s the top three spaces in your home that you need to address and some cures. Do you want to just give us a couple examples of that are. That will be great and then people can go get the full thing and download it themselves over. It’s going to be at your website, feng shui pathways.com. Is that right? Okay. What are the, what do you think we should be thinking about? Kerri Miller: 16:56 Well, I think that there’s, you know, talk about the two most important areas. I would say your front door is always number one. Oh, we consider that the mouth of cheats were all fresh. Vital chi comes into your space. Okay. So that architectural front door is really important to make sure that it is, you know, first of all that you can be found that it’s visible, but it’s easy to approach the. There’s nothing in the way or that you might trip over, but the door can open wide all the way as well. Lids, you know, you want to make sure that your address is clear, that your lights work, that your doorbell works, the hinges don’t squeak because all of those things are energetic deterrents to actually inviting the energy into your house. So that’s definitely the number one area. And then another area that I really like to focus on is the bedroom. Kerri Miller: 17:53 Because, you know, we spend a third, you know, half of our life sleeping in our bedroom and we happened to be in a really vulnerable, energetic state at that time because we’ve gone into that subconscious state overnight. So how the energy is moving and flowing around us is really important and we need to get a good night’s sleep in order to be able to be energized, to put you to focus our energy on our careers and our family and our relationships. So it’s, it’s a really impactful space to look at, um, you know, making sure that it isn’t space that’s really geared towards rest rejuvenation, enrollments, know if you’re in a relationship. Um, and that there aren’t distractions from that, you know, like laptops and Televisa, exercise equipment and work and you know, even things like, you know, things stored underneath the bed, you know, that might be like letters from an ex boyfriend or something like that is all energy that’s interacting with us while we’re sleeping. And it really does, you know, energetically impacts you and your vitality through the rest of your day. Annie Kip: 19:05 What about like sweaters or you know, if, if it’s not emotional stuff, but you’re kind of keeping your winter wardrobe under the bed, is that okay? Kerri Miller: 19:13 Yeah, so it’s not ideal. I would say if you’re going to store something under the bed, it will be best if it’s something soft like linens or sweaters or clothing rather than people work or files or financial information. That’s all very energetically charged. Annie Kip: 19:32 Okay. Really interesting. Um, now you had told me be fair, we started something about balancing the elements and I know this might be a little complicated but I think it’s, it’s interesting. So I want you to share if we can talk about the elements and then maybe we can bring it right back around to that front door and how we can use those elements. Getting Ready for the holidays on our front door. Does that sound like. Absolutely. Okay, great. Annie Kip: 20:44 explain that. What do you mean the five elements are using the beach example? Kerri Miller: 20:48 Yeah. So you would have sand which would be, or you would have water, sunshine, which would be the fire energy. Usually there’s some type of seashells or um, or rocks which are the metal elements. And often there’s the, you know, if you think of the reads the woods that’s growing or, or even you could look into, you know, into the water as lj or plants. All of those elements are present and their presence in a balanced way. And people feel really good to be at the beach. Yeah. That explains it. Yeah. As opposed to a desert setting where there’s a lot of sun and there’s a lot of earth, but there’s not wood. There’s not water. There might be a little bit of metal. So it feels energetically it’s out of balance so you don’t feel as comfortable. They’re the same thing goes for our spaces. Kerri Miller: 21:43 If we make sure that we have brought all five elements into our space in a balanced way, it can feel really good in there. It’s just a way of adding in that natural harmonious balance of nature. Tell me how, what does that look like? Like what would a balanced bedroom look like, for example, yet will, you would want to have a little bit of everything in the space. Bedrooms are meant to be a little bit calmer. So, you know, if you were to bring in the water elements rather than having a fountain was flowing water, which is kind of activating and you might have an image of flowing water in your space, you know, if you, you, you might want to bring in some, um, instead of bringing in a live plant, which again is also active and alive and living, that can be a little bit activating. Kerri Miller: 22:30 You might want to bring in some prints into your space that have a vine images or flowers or stripes which all represent the wood elements. What about cut flowers? Does that have any, does that make any difference between a live plant in the cut flower? I would say, I mean, just a slight difference. Think about how um, you know, it’s kind of eventually it’s gonna decline faster than a living plants would not thrive in quite as much. So it’s okay, but don’t keep it when it’s declining. Exactly, yeah. People will have dried flowers in that space and the energy is different. If you think about a living plants, you think that’s very vital and energizing. And if you look at the dried flowers, um, they, they can still have some good associations attached to them, but they’re really representing that declining season more than living seasons. So pay attention to, not to mention that they get dusty and it so quickly. It’s just a pain. Okay. So back to the bedroom, so flowing water images, like how else would you get water in your bedroom or colors? Are there anything that goes with water? Kerri Miller: 23:50 The water itself would be represented by blacks and deep blues. Okay. It’s also represented by the. That kind of flowy shaped. So anything that has like a, uh, not, you know, a very flowy shape to it. So it could be, you know, curtains that are very wavy or might have ruffles on them, you know, it could be a dish that’s kind of um, you know, I’m not circular that more flowing. Um, so, and you can bring water itself in in some ways, although I don’t often recommend that in the space. But it sounds like even the pattern of your, do they cover could be a circular, flowy sort of thing rather than a geometric, sharp angled kind of thing? Is that what you’re suggesting? And also mirrors and windows are considered the water elements. Okay. And then, um, just as long as you’re talking about mirrors, I think I remember something about mirrors in bedrooms being like placement of them is there. Kerri Miller: 24:52 Yeah. So you have to be really careful how you’re placing the mirror because if it’s reflecting the bed it can, it can really bounce the energy back and forth off of you. So she comes into the room, it can kind of bounce off the mirror, bounce over you over the bed, maybe it bounces to cheat out the window. And so it’s really, it can be very energetically unsettling to have the mirror in the space when it’s directly reflecting the beds. So I definitely recommend trying to offset your mirror so that it’s not reflecting you while you’re sleeping at the foot of the bed. That would not be great. Right. Okay. Okay. And then let’s say you have earth, would that be like the linens and things? So earth would actually be like terracotta or pottery and things that are yellow or earth tones like the beiges, browns. Kerri Miller: 25:49 Okay. And um, I’ll so things that are square so you know, even the pictures that are behind you, um, with the square frames around them, those have a little bit of earth elements in them because they have that awareness. Does it, does square, rectangular square or does it have to be a straight up, square, rectangular also just set shape. Okay. And then would I assume dressers and things like that, cover everything made out of wood, the color tones of blues and Greens, things that are leafy patterns of things that are made out of wood, like a paper or you know, those are all adding a little bit of the wood element into the space. And then fire. How do you, do you want fire in your bedroom that or is that, that’s the passion of fire into space. A lot of times I’ll go into a bedroom and see, you know, that really come, you know, beachy theme. Kerri Miller: 26:54 Then, you know, talking to the couple, they may not feel like there’s much of a spark between the two and they’ve actually kind of put the, put the fire out, adding things, you know, thinking of things. Um, fire would be things that are triangular shaped, just like a flame, reds and oranges, pictures of sunsets, lights, um, animal prints, people and animals are considered the fire elements. Animal prints are greats leathers. Um, let’s think candles, candles of those little twinkly lights. Oh, okay. Lighting itself, computers, TVS are all the fire elements. Electronics or are considered the fire element. You don’t want to do those in the bedroom. But, um, but they didn’t have ways to bring it in. Very interesting. Did I, did we cover all of those or did we miss him? Our metal is basically whites and pastels and things that are made out of metal. Kerri Miller: 28:05 Things that are around. Yeah. And so, uh, you know, it’s interesting because each of these elements has a personality type to a metal is very rigid and inflexible. So if you end up adding a lot of metal elements into your bedroom, you can find that your relationship becomes rigid and inflexible or the personality of both people becomes very logical as opposed to flexible and expansive. You know, it’s really interesting to see how the energies of these different elements impacts how the space feels and how the occupants feel and behave in it. So have you actually seen people change because they changed something in their house? I mean, that’s amazing. Yeah, I do. I, I can definitely say that it really can make a very subtle difference. That’s powerful though. So yeah. Um, you know, not using the elements as an example, but you know, when my kids were younger and I was doing, they were too young to really take care of themselves. I can remember that they used to bark orders at me for a little while. I realized that the way they were positioned in the kitchen was really putting them in the, you know, in power, in the power spot, in the kitchen, you know, basically I was serving them and so I rearranged the way they receded and saw an immediate difference in how that dynamic, that relationship reacted. So it’s really powerful when you start working with how the energy is supporting you and working with you versus working against you. That’s super interesting. Kerri Miller: 30:03 like optimal? I guess for functional data. So I mean you definitely want it to be know, visible and seen to be welcoming. So all of those things that you can do to, to lead the energy towards the front door or to lead a person or lead opportunity towards your front door is really powerful. So you know, little plants or decorations along the path that lead them to the front door, a welcome mat that gives them kind of a spot to to feel welcome while they’re waiting to have it be well lit, to have it be festive. You know, to think of the front door, you know, if you were to add, maybe you have a black front door, which is the water elements already. Maybe you put like a twig wreath around the front. That’s your wood elements. You can add some, you know, Silk Poinsettias to the reason there’s your fire elements. Annie Kip: 30:55 Okay. That would be. It wouldn’t be considered would because it’s a plant, but it would be red. It’s a little bit of both. Kerri Miller: 31:04 Okay. Add color definitely gives it that pop and highlights that fire energy. Okay. We’re also going to get that. If you add twinkling lights or if you have a light on above your, your front door and then you know you’ve added with the round reese, you’ve got a little bit of the amount of metal elements. The door knob and other things are going to be metal. So you’ve balanced the whole, you’ve made sure that all of the, okay, all of the elements are present in your display. Okay. And it’s really just one thing that people can do, which is really powerful, is just take, take something like a centerpiece of new, of a table, um, and you, uh, bring each of the five elements and then create a center piece from that. Just notice how that changes the way the space feels or how it, how it feels as a focal point. It’s really powerful. Annie Kip: 31:53 Okay. All right. I may have to try that in my dining room because I usually just have a glass vase with flowers in my garden. It’s right beneath right beneath the chandelier. So I guess I have the fire element a little metal in that. So it’s funny. I don’t know what I’m missing. I have the tables would. Kerri Miller: 32:12 Right. So a lot of times you, you will look at it and if you try to try to break it apart, you realize that you already did it subliminally anyway. It’s kind of an intuitive thing. Yeah. But also it’s really easy for the, you know, especially right now during Christmas where we’re decorating for the holidays and adding in a lot more lights and a lot more woods with the greenery and candles were kind of throwing off the balance, the space a little bit. So you might bring in a tree and a whole bunch of lights and if you notice a lot of times by the end of the season people are feeling frazzled and burnt out. Kerri Miller: 32:50 Is attributed to all of this extra, you know, fire and wood energy which are coming into this space. Kerri Miller: 33:11 in my group, I’m on facebook right now, I’m doing a whole free comfort and joy series where we’re talking about this, this balance and how to. There are many different ways to balance it. First number one, being aware and we’re talking about paying attention to the decorations that you’re putting up and noticing whether or not there’s too much of one elements over the other and trying to add in other elements. Maybe you know, metal is something that cuts the wood. So if you bring in a little bit more metal elements, some whites and some silvers, oh, that will help really balanced it off a little bit more than lots of reds and greens. So it’s important to pay attention to what you’re bringing in and also even looking at your calendar and noticing how you can simplify that to help your own energy be able to endure the whole season. Annie Kip: 34:03 Yeah. Because I guess there is some, it’s going to be, there is more chiefly at Christmas period, right? I mean we can’t totally get away from that. Kerri Miller: 34:13 Yep. No, no matter where you go, you know, there’s music and there’s lights and there’s people. So it’s all very activated all the time through the whole season. Um, so it’s good to look at your space and think about whether or not you can give yourself some white space during the holidays, you know, maybe there’s a room that doesn’t have any decorations or maybe you spread them out or leave a few tables that are open instead of everything covered. Kerri Miller: 35:10 I have a freebie which is a top three areas of your space or the most important functional areas of your space and how to optimize them. So it gives you some tips to pay attention, so just like the front door in the bedroom that we talked about, those are there, there are, uh, there’s another one as well. You can find that by going to my website, feng shui pathways.com. There’s a little teal colored box where you can put your name and your email address in and that’ll get sent right out to you. That’s really powerful thing just to pay attention to those three areas. A functional it can be really overwhelming to think about, but you know, this is just a place to start and start paying attention to the important areas and for people that really are drawn to this. And I really want to dig in and get into an even deeper with you. Kerri Miller: 36:01 I know you are starting a membership program for people who are really wanting to shift their space and transform their lives with their feng shui practice. Tell us more about that. Yeah. So I have a membership program that’s starting in January. It’s going to go continuously forever, but people can join right now for six months. We’re going to talk about all different things, how to set up your New Year and optimize your year going forward by getting clear about what it is that you want to to create and to attract and how to balance the energies in the new year. We’ll talk about how to clear out some of those old energies and make room for the new. We’re going to talk about bedrooms and how to optimize romance and partnerships during the month of February. With Valentine’s Day, we’ll definitely get into elements and different enhancements that you can bring into your space to call energy. Kerri Miller: 36:58 So it’s a really great way to kind of check in with the group on a regular basis and get inspiration and tips and prompts. Um, we’re going to do some clutter. Clearing challenge is just all different things that will help you shift the energy of your space and, uh, be aware of your space and create a space that feels better and flows better. That sounds really, really awesome because to have an expert to ask questions of and to run these things by someone like you would be so valuable. Thank you for offering that. This has been a terrific discussion. I hopefully will do this again. This was really fun. Thanks for having me. I appreciate it. You’re welcome. Thank you for being here. Alright, you guys go get her a little freebie. That is a great place to start and really give some consideration to that feng shui membership program that she’s. Sounds like a really a really great way to, to take some steps to make your life more the way you want it to be. All right, we’re going to say goodbye to now. We’ll see you next week. Thanks Carrie. Bye. Thank you. Bye. Bye. Thanks.